You will manually receive a 'Journey Details' email and or a phone call when the journey has been assigned to a driver. This will contain the pick up instructions and the driver's telephone number. Go Vito Travel will not refund you if you have forgotten to take this with you. Go Vito Travel does not accept any responsibility in any way for missed flights for whatever reason i.e. traffic delays, accidents, breakdowns, severe weather conditions or any unforeseen circumstances. We advise passengers to plan to arrive at the airport 2 hours prior to flight departure to allow for possible unpredicted delays on route to or from the airport. Go Vito Travel will not take responsibility for any passengers missing their flight if two hours check in time was not allowed. You are free of course to arrange to get to the airport for a time of less than 2 hours prior to flight departure, however Go Vito Travel accepts no responsibility for any missed flight due to this. 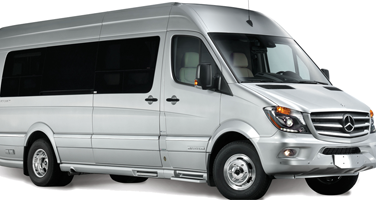 Go Vito Travel does not accept any responsibility in any way if the passenger/luggage requirements exceed the capacity of the vehicle booked. 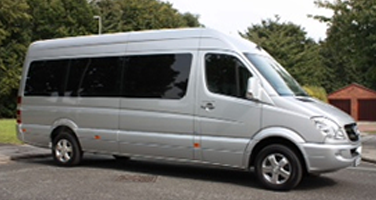 If you are unsure about the capacity of the vehicle booked please contact Go Vito Travel customer services team immediately. 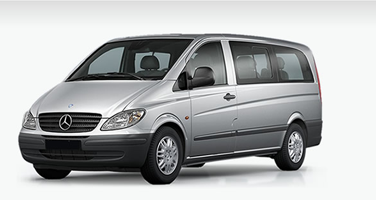 Go Vito Travel use their own transport wherever possible but do use third party companies where appropriate. Reservations made for service on the following timings and dates will be subject to an additional 50% surcharge on published prices: 18:00 24th December to 23:59 26th December, 18:00 31st December to 23:59 1st January, other days may also be affected. Prices are calculated manually with the distance, time of travel and amount of passengers travelling taken into consideration. We reserve the right to provide an upgraded car type from the original selected if your chosen vehicle is unavailable. We do not charge for the 1st hour's waiting time after the plane has landed. Waiting time charges start once the 1st hour has elapsed from when the aircraft has landed and will be charged, regardless of reason, at £20;/hr pro Rata' Waiting time for all other journeys will be added at £20/hr pro rata from the scheduled pick up time. Go Vito Travel will accept any cancellation made as long as there is at least 24 hours notice however there will be a £7 or 10% (whichever is higher) administration / transaction charge. The cancellation must be made via an email to which you will receive confirmation by us. If you do not receive an email from Go Vito Travel confirming the cancellation we have not received it. In this case please call our out of hours number which is 07815775997 Refunds will not be issued in the following circumstances: No refund is made if the passenger does not show up for pre-paid journeys. No refund is made for cancellation of a booking with less than 24 hours' notice provided or afterwards. All other circumstances where a refund may be possible should be addressed directly with Go Vito Travel customer services.